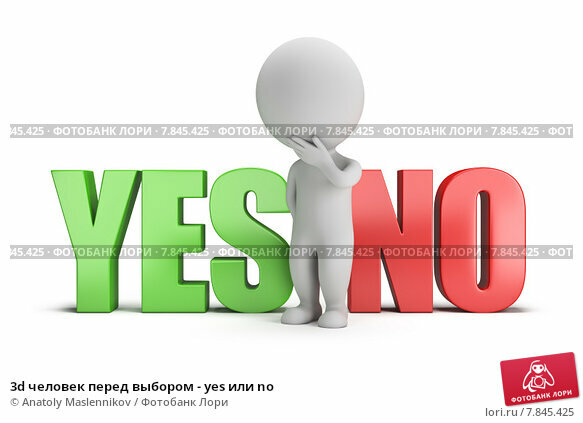 3d small person standing between the words yes and no. 3d image. White background.